Lake Cahullia Recreation Area campground has 91 campsites for tents, trailers and RVs situated around the 135-acre lake. Group camping is also available. There are 55 hookup sites for RVs and trailers, 35 primitive campsites, as well as 20 equestrian campsites. It also has a dump station, flush toilets, hot showers and free WiFi. Each campsite has a picnic table, fire ring and grill. Our favorite Lake Cahullia campsites are: 32, 33, 34, 35, 36, 41, 42, 43, 44, 46, 48, 50, 52, 54, 56, 58, 60, 65, 66, 67, 68, 69, 70 and 71. Lake Cahullia Recreation Area is a beautiful 710-acre park located at the base of the Santa Rosa Mountains about 6 miles south east of La Quinta. The park has a nice 135-acre lake with some fine fishing. You can’t swim in the lake, but you can in the swimming pool! The park also has a playground, sand volleyball, pickle ball, bocce ball, horseback riding trails, hiking trails and large picnic areas. Other Riverside County Park campgrounds you may be interested in include: Hurkey Creek and Idyllwild Regional Park. 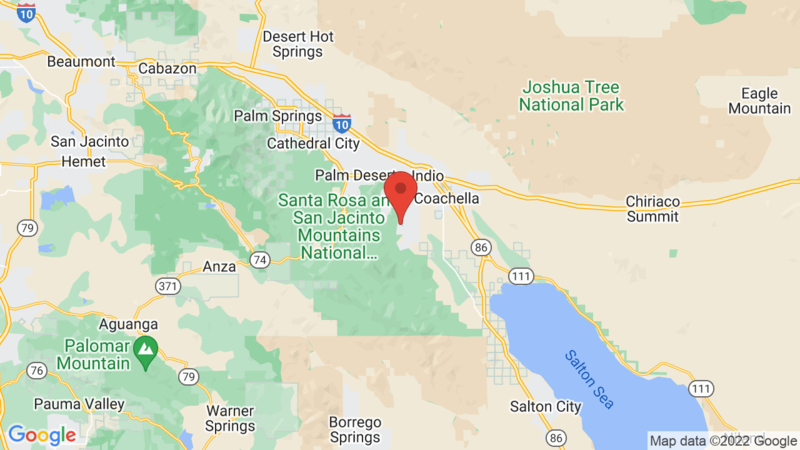 Visted Lake Cahuilla Recreation Area County Park Campground lately? We'd love to hear about your adventure. Did you find us useful? Did we forget something? Anything our community should know before heading out to Lake Cahuilla Recreation Area County Park?